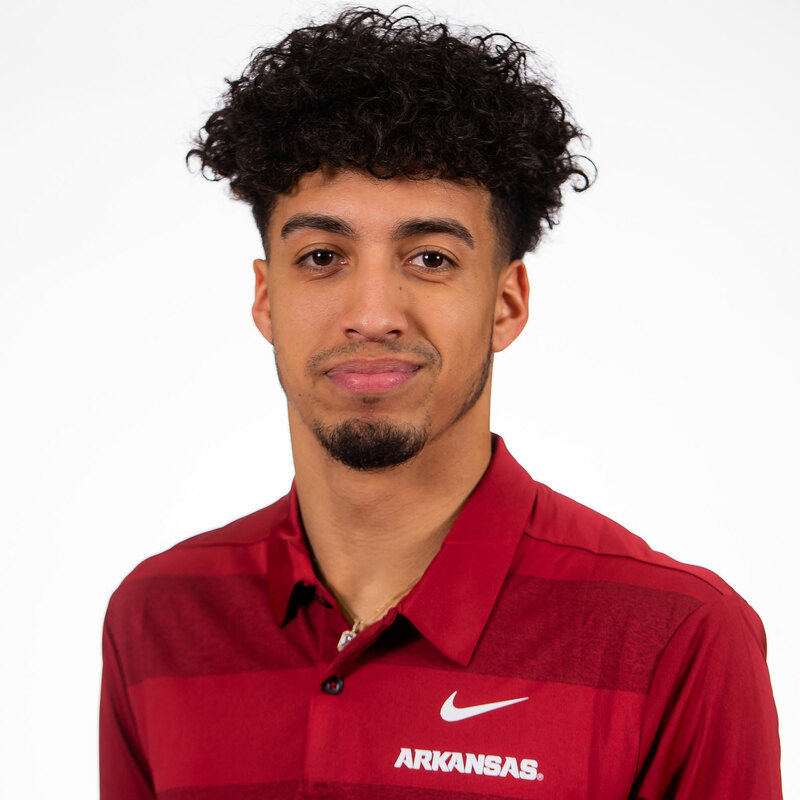 2018 (JUNIOR): Played in all 12 games for the Razorbacks in 2018, starting eight at one of the wide receiver spots … Totaled 487 snaps played over the course of his junior season according to Pro Football Focus, with 429 coming on offense, while also seeing 58 plays on Arkansas’ punt & kick return units … Ranked fourth on the team in receptions with 22, totaling 178 yards for an average of 8.1 yards per catch … Team’s primary specialist on punt returns, with nine going for 91 yards … Also rushed the ball twice on offense … Had a catch in each of the first seven games, giving him a streak of 16-straight games dating back to the 2017 campaign … Returned his longest punt of the season in week two at Colorado State for 45 yards … Posted seven multi-catch performances throughout the year, his first coming against North Texas on Sept. 15 … Only had one catch at Auburn in the SEC opener but took it 32 yards on the play … Tallied a season-high 53 yards on two receptions vs. Alabama on Oct. 6 … Reeled in six receptions, matching a career-best, at Mississippi State on Nov. 17 … Finished the year with four consecutive games with a reception, catching at least two in each of those contests … Wrapped the season with a 75.0 overall grade from PFF in punt returns … Part of a receiving corps that put up 2,307 yards through the air and 17 touchdowns. 2017 (SOPHOMORE): Started six games and played in all 12 … Second on the team in receptions (33), receiving yards (404) and touchdown catches (3) … Averaged 12.2 yards per catch … Longest catch was 38 yards … Had a catch in 11 games and multiple catches in eight games … Posted 60-plus yards receiving in three games … Returned four kicks for 61 yards .. Led the team in receptions that resulted in a first down (22) … Tied for the team lea din 15-plus yard catches (13) … Made two catches of 25-plus yards … 23 of 33 receptions came in SEC play … 7 of 8 catches on third down resulted in a first down … Against Florida A&M, had two catches for 22 yards, including his first career touchdown reception, a 16-yard strike from Austin Allen … Caught four passes against New Mexico State for a career-high 71 yards and a career-long 38-yard touchdown … Hauled in six passes for 65 yards against Alabama (Oct. 14) … Totaled four catches for 49 yards and his third career score at Ole Miss (Oct. 28) … Scored on a 23-yard pass from Cole Kelley with 13 seconds left in the first half … Closed the season against Missouri (Nov. 24) with a career-high tying six catches and his third game of the year with 60-plus yards (68) … Extended his streak of consecutive games with a catch to nine. 2016 (REDSHIRT FRESHMAN): Played in 12 games, used primarily as kickoff return specialist … Fielded 21 kicks for 419 yards with a long of 43 … Caught two passes for 34 yards, including a 15-yard reception against Alcorn State (Oct.1) and a 19-yard grab against Virginia Tech in the Belk Bowl (Dec. 29) … Rushed twice for nine yards. 2015 (FRESHMAN): Redshirted during initial year on campus. HIGH SCHOOL: A consensus three-star recruit by Rivals, ESPN, Scout and 247Sports … ESPN listed him as the No. 9 prospect in Arkansas and the No. 67 wide receiver in the nation … Scout ranked him as the No. 71 wide receiver in the country and No. 2 wide out in the Natural State … Listed as the No. 10 recruit in Arkansas and the No. 90 wide receiver nationally by 247Sports … Earned a three-star rating by 247Composite, a combined index of national recruiting rankings … Ranked as the No. 12 player in the Natural 21 by HawgSports.com … Named to the Associated Press Arkansas Super Team as a defensive back in 2014 … Earned all-state honors in Arkansas Class 4A region 3 … Named All-ArkansasVarsity.com second team at wide receiver … Helped Highland win its third district title in four years in 2014 … Broke the 1,000-yard plateau as a senior with 49 receptions for 1,005 yards (20.5 avg.) and 11 touchdowns as a senior … Also made 42 tackles, three interceptions and forced a fumble on defense … Caught 36 passes for 757 yards (21.0 avg.) and eight touchdowns in 2013 … Totaled 42 tackles and six interceptions as a junior … Coached by Spencer Hill … Also participated in track and field … Won the state championship in the triple jump in 2014 … Chose Arkansas over Oregon, Ole Miss and Louisville among others. PERSONAL: Born on May 23, 1997 … Son of Chrissy Stewart … Recreation and sport management major.